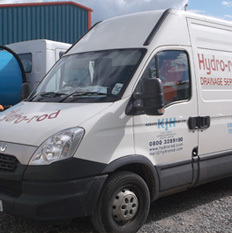 Hydro-Rod (KJ Howard Civil Engineering Ltd) is a 3rd generation family run business formed in 1973, to provide a one-stop shop for all your drainage and sewage disposal problems. Our skilled engineers and fully equipped vehicles are able to solve any problem on or off site. We are based in Exeter, Devon which gives us good access to the M5 motorway and A38 for quick delivery of drainage services to Cornwall, Somerset and Dorset. 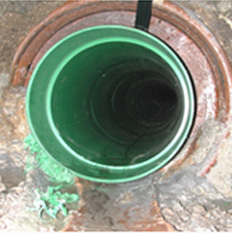 Our services include the repair and replacement of pipes and drains avoiding the need to dig out the whole length of the existing pipe. This means the job is not only less expensive but it almost totally eliminates the need for any extensive excavation of your gardens or grounds.We are one of the only companies in the South West of England to provide ‘No Dig’ Pipe Bursting Drain Replacement. 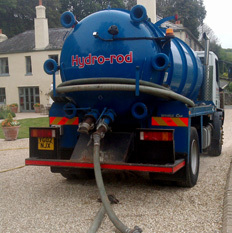 We specialise in the emptying, repairs and installation of septic tanks together with drain clearance and general civil engineering such as groundworks. 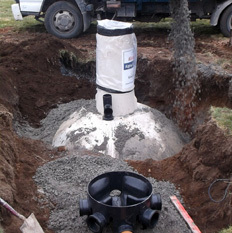 We install Condor, Klargester Septic Tanks as well as ALL other leading makes. Occasionally, it is necessary to inspect drains for damage, for this we use a state-of-the-art Closed Circuit TV Camera (CCTV) unit which is able to move down drains for us to view internally.